Barbara Brown Taylor, Butman Professor of Religion at Piedmont College, will give a presentation titled Sabbath: Self-Care or the Mending of the World? at 7 p.m. Wednesday, April 2, in the Bates College Chapel. The public is invited to attend the 2008 Zerby Lecture in Contemporary Religious Thought, sponsored by the Office of the Multifaith Chaplain, free of charge. For more information, please call 207-786-8272. An Episcopal priest since 1984, Taylor teaches religion at Piedmont College in rural northeast Georgia, where she holds the Harry R. Butman Chair in Religion and Philosophy. She also serves as adjunct professor of Christian spirituality at Columbia Theological Seminary in Decatur, Ga.
Before becoming a full-time teacher, Taylor spent 15 years in parish ministry, first at All Saints Church in Atlanta and then at Grace-Calvary Church in Clarkesville, Ga. In recent years, she has lectured on preaching at Yale, Princeton and Duke universities, and has preached at churches across the country. 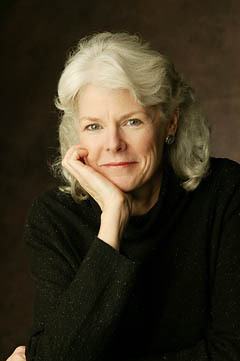 A columnist for The Christian Century and commentator on Georgia Public Broadcasting, she is the author of 11 books, including When God is Silent (Crowley, 1998) and Home by Another Way (Crowley, 1999). Leaving Church, her first memoir, received the 2006 award for Best General Interest Book from the Association of Theological Booksellers, and a Georgia Author of the Year award from the Georgia Writers Association in the category of creative nonfiction. Taylor was born in Lafayette, Ind., while her father completed his Ph.D. in clinical psychology at Purdue. Over the next several years, the family lived in Kansas, Ohio and Alabama before settling in Atlanta in 1965. Taylor attended public high school, graduated from Emory University in 1973 and Yale Divinity School in 1976. Baptized in the Catholic church as an infant, she spent time with the Baptists, the Methodists and the Presbyterians before being confirmed in the Episcopal Church during her senior year in seminary, the same year that the General Convention of the church voted to admit women to priesthood. Winding her way toward ordination, Taylor worked as a camp counselor, a cocktail waitress and a secretary at Candler School of Theology. She also wrote short stories, saving up all her vacation time to spend in residencies at Yaddo, the Virginia Center for the Creative Arts and the Millay Colony for the Arts. While her writing went nowhere, she was invited to preach her first sermon at St. Luke’s Episcopal Church in Atlanta in 1978. When people asked for copies afterwards, she realized that she had sold her first story. After several more years of training, including a year as a hospital chaplain, Taylor was ordained deacon in 1983 and priest in 1984, on the feast of Dame Julian of Norwich. An admired preacher, Taylor “possesses a gift that is in short supply these days: the gift of conveying a living sense of the transcendent, the holy, and the grace-full in and through the stuff of our lives,” noted the Sewanee Theological Review.